Over 40 dating can be tricky, but thanks dating sites for over 40 singles, meeting new people has never been easier. 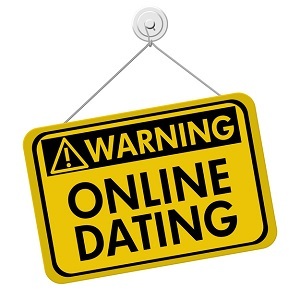 While it is easy to get carried away by the plethora of options that dating sites for over 40 singles can provide, it is important to keep a cool head and remain safe. Read on to learn more about the five most important tips for over 40 dating. The last thing you want is for someone to take the image you use and run to Google Image Search. Using the same picture that you use for your Facebook profile allows anyone who is viewing your profile to take the image to Google and learn things about you that you may not be comfortable with (i.e. your real name, age, location, etc.). Use a separate image when creating a dating profile, so that your information remains under wraps. For example, it is perfectly safe to include the name of your city in your profile, but you will probably want to leave the name of your neighborhood out of it. While the majority of people are not going to wander the streets of your neighborhood late at night in search of you, it is best to just not take that chance at all. After all, it is always better to be safe than sorry. Let’s say you have met someone on one of the many dating sites for over 40 singles. For maximum safety, you should let a close friend or loved one know more about your whereabouts. Show your friend or family member the person’s profile, so they know what they look like. Let them know where your date will be taking place. Establish check in times, so they can remain informed. There is no reason to have a first meeting in any location that is not public. Don’t meet at your home or theirs and if possible, choose a neutral location that is in neither of your neighborhoods. Safety needs to be emphasized on a first date. While a coffee shop meeting may not be overly romantic, you will have time to go for moonlit walks at a later date, especially if you hit it off. Don’t rely on the person to pick you up or drop you off. The person may be well intentioned, but guess what? You have absolutely no way of knowing that on a first date. Your date does not need to know where you live and if the date does not go well, you may end up with an unwanted visitor or even a stalker, so keep the whereabouts of your residence to yourself.